If you're wary about venturing into the world of inbound or digital marketing, this is a good place for you to start. Inbound marketing isn’t a new concept to most digital marketers, but it is still making it’s way to businesses of all sizes around the world. Businesses are adopting inbound marketing for a myriad of reasons, including more predictable revenue streams, better customer experiences, and lower budget needs. Making the switch from outbound to inbound, or even simply starting out with an inbound marketing strategy can be confusing and time consuming. So, we understand if you need some convincing and explaining. 3 out of 4 marketers across the globe prioritize an inbound approach to marketing. 73% of small businesses are predominantly using inbound marketing. The #1 priority for businesses is generating qualified marketing and sales leads. Both inbound and outbound marketers rank paid advertising as the #1 most overrated marketing tactic (by a landslide). The data doesn’t lie. Inbound marketing isn’t just for small brands trying to beat out the big guys. Inbound has become the marketing strategy of choice for countless businesses and is favored amongst top level management. 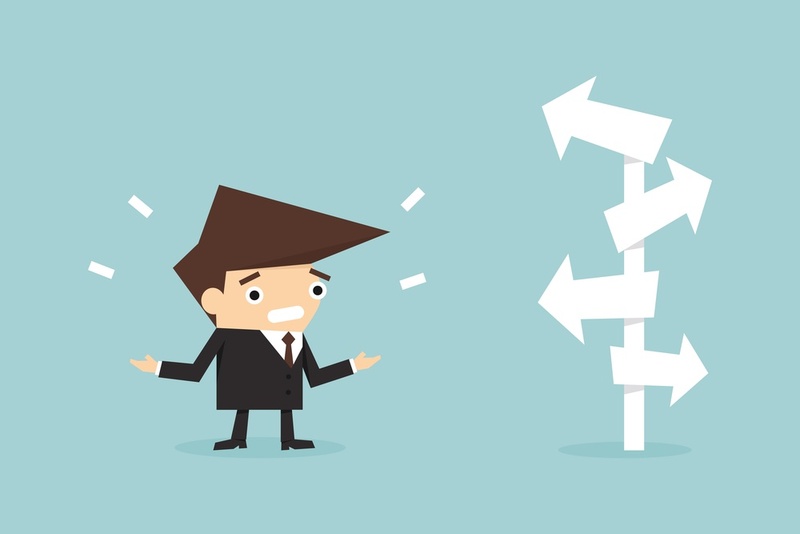 Now, let’s answer the most common inbound marketing questions. Inbound marketing is the concept that rather than paying to get customers to your website using ads and other in-your-face tactics, you instead give them a compelling reason to want to be there. Think of it this way: You’re not standing in front of anyone and everyone with a sign that reads “Look at me! You might like what I’m selling!” Instead, you’re creating a relevant sign that only attracts those who are already interested by giving away helpful or useful information that they care about. 2. How does inbound marketing work? The “relevant sign” you’re holding up is content. Creating content that is useful to your target market will help you turn up in search results and get found by those people that will eventually become your customers. Inbound marketing relies on the popularity and effectiveness of search engines to rank and serve relevant content. By creating overall delightful content, you’ll not only attract potential customers, but you’ll also keep existing ones coming back. For example, we created a blog post to attract owners of construction companies. The content offers useful information to readers and is optimized with keywords to be easily found by search engines. Inbound is known to be more effective than outbound marketing because with inbound, you can generate organic traffic to your site. Organic traffic is cheaper, lasts longer, and is more predictable than paid traffic. But inbound doesn’t just stop at content, even though that is the most popular aspect. Understanding SEO (search engine optimization) and whether or not your website and content is optimized for search is equally as important as the content. You should be optimizing your blog posts, landing pages, and website to reach your target audience. Also, inbound marketing involves sharing that quality, optimized content on social media, but more specifically, wherever your ideal customers are lurking. Overall, inbound marketing is a more human approach to marketing. By segmenting and targeting potential customers with unique content that leads them to your website, you’ll be closing more customers with lower churn rates than you are with your current outbound tactics. 3. Should I be blogging for my brand? In case you didn’t read FAQ #1 - Absolutely. 100% yes. If you’re considering an inbound strategy, blogging is key. Pay for them to find your website with ads, which gets expensive really quickly and isn’t all that easy to bid on in the first place. Blog strategically to reach your target audience and convey the value of your product while offering your readers insights and information on topics they actually care about. So, obviously...#3. By blogging, you’re creating multiple new indexable pages for search engines (like Google). A steady stream of new content is a note to search engines that says, “Hey! I’m alive!” By writing high quality content, you’re also giving yourself and others the opportunity to share your work and get found by even more people. 4. How much does inbound marketing cost? Depending on the size and scale of your inbound marketing strategy and how you get it done (think: agency or in-house), this number will vary significantly. You can get away with spending very little on inbound marketing, but you’ll need to budget for a few things regardless of whether you go the in-house or agency route. Many businesses who use inbound invest in a CRM (customer relationship management) tool like HubSpot or Marketo, which can cost a few hundred dollars per month depending on size/scale. Once you have a CRM, many of the individual tools you’ll need, such as social media publishers, reports, blog management, contact management, emails, and workflows will be taken care of. The missing piece is the actual work that it takes to implement it - and that can cost you. Hiring an agency to manage your inbound strategy is a great option to cut back on marketing expenses. This way, you can avoid hiring individual in-house - and expensive - experts to perform a wide range of tasks. Also, agency’s are usually well-oiled machines. The time and effort they can save you alone will be worth the investment. 5. How much will inbound marketing affect my bottom line? Arguably, one of the most important and frequently asked questions regarding inbound marketing is about ROI (return on investment). When it comes to showing which efforts in your inbound strategy resulted in what percentage of revenue, inbound marketing is king. CRM systems help immensely with this as they can track these numbers for you automatically. Without one, you can still find the same information using various tools. You can see clearly where a contact came from, what they clicked on and downloaded, and how quickly they became a customer. Having a clear explanation for what works and what doesn’t makes tweaking and nixing infinitely easier, saving you enormous amounts of time and money. Instead of throwing cash at your marketing department and hoping that it will result in new customers, invest strategically and efficiently on things you can track and monitor. So as far as your bottom line goes, inbound marketing will help you cut costs across your marketing operation while bringing more customers - and money - into your business. Your bottom line will be happy. 6. When will I see results from inbound marketing (read: more money in the bank)? Inbound marketing is not a short-term payoff. When you commit to inbound, you’re committing for the long haul. The fact is, you won’t see immediate results, but the effects of inbound outlast any outbound marketing campaign. For example, if your content is well-written and hits on the specific needs and wants of your target market, it'll rank highly in search results and stay there until someone else boots you from your spot. All this...without any additional influx of cash or effort on your part. Putting in a few hours per week to write and create top-notch content could result in multiple top-10 search result listings, which will garner more visits, leads, and eventual customers for you. Getting inbound marketing right will be worth it, and the sooner you get started, the more likely you are to beat out your competition. 7. How do I know inbound marketing works? Where's the data? Tools! As with any marketing effort, inbound or otherwise, tools are our best friends. Keeping track of your efforts is paramount - it’s the reason that all of us keep getting paid at the end of the day. Here at Bonafide, we use a myriad of tools, but our go-tos include HubSpot, Ahrefs, Google AdWords, and Google Analytics. All of those tools are popular and proven to show the results that marketers are looking for. Being able to track your efforts outside of just revenue will help you decide what to do next with your strategy and reassure your boss that inbound is worth the investment. There are countless tools that can do the trick, but those four are a good place to start. Nervous about the data? We get it...it can be a lot to process and analyze. When we work with our clients, we have periodic meetings discussing the data we compile from monitoring our various marketing efforts. Then, we help them interpret it and understand what it means for their business. 8. Are longer blog posts better than shorter ones? It really depends. Recently, there’s been a push towards long-form content, meaning longer posts that dive deep into the concepts that your target market cares about. However, many still believe that short-form is just as good or that there is a healthy medium between both. Our opinion is that there’s a time and place for both. If you can put together a long-form post that is insightful and useful without being redundant, go for it! A long-form blog post is usually around 2,000 words, and that’s not including images, graphs, and other data representation. It’s a time-consuming endeavor, but it can pay off immensely. Do what’s right for your target market. Do your customers mind reading a 2,000 word blog post or are they more interested in something quick and easily digestible? Write for your audience first and for search engines second. 9. Which social media channels should I use? Social media is very specific to each individual business and the target market that they’re trying to appeal to. A good rule of thumb is that you shouldn’t be using every single social media channel. Concentrate your efforts on those channels where your target market already is. For example, if your business is targeted to teenagers, Linkedin and Google+ are probably not your best options. Instead, focus on Snapchat and Instagram. The good thing is that there are countless tools that can help you auto-post, schedule content, keep your feed topped off, and stay on top of mentions or shares of your own content. The list of social media tools is endless, but here’s a good, short list to get you started. 10. What should I be posting on social media? Who are you targeting and where are you targeting them? That’s the question you need to answer for yourself before answering this question. Different social channels are optimized for different types of content. For example, YouTube is obviously a video-hosting website, but it’s also a social channel that people can subscribe to. You can post longer videos, such as case studies and tutorials, that wouldn’t fit the format of an Instagram video. Choose a platform that will highlight your product or service well. 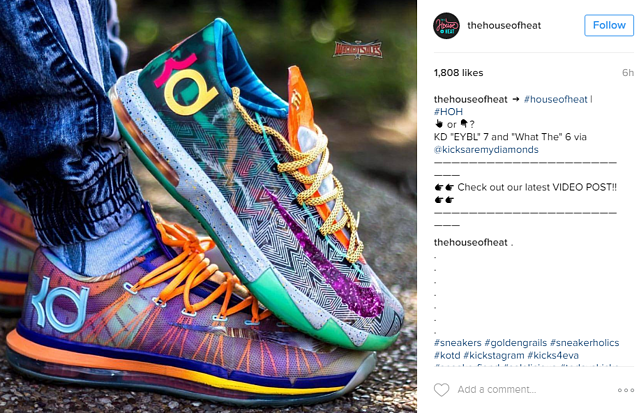 This sneaker company uses Instagram to reach their target market with visual content - because how better to sell shoes? Generally speaking, videos, images and graphics are key to successful social content in today’s marketing world. People have short attention spans and reading is a time-consuming effort, so looking at videos and pictures requires less work on their part. The types of images and videos you use also depend on the channel. Be sure to familiarize yourself with the platform and its audience before diving into it. Check out Gary Vaynerchuk’s post on Inc about the big 4 social media platforms and how he uses them. 11. What types of content should I create? Blog posts are not the only form of content that you can share with your target market. There are infographics, ebooks, case studies, videos, and more. The type of content that you should be creating should be driven by what your consumers are looking for. For example, if you’re marketing a health insurance company, you might find that customers enjoy infographics that explain how the health insurance works and how to use it. Or, you could create video tutorials on how to care for common injuries or mild illnesses. These forms of content go beyond written work and venture into more creative forms that may be easier to consume and more likely to be shared. 12. Should I be doing co-marketing? One of the best parts about inbound marketing is that many businesses have already bought into the concept. It can be mutually beneficial for similar businesses - or businesses with similar audiences - to join forces with each other. For example, an interior design firm might partner up with a tile manufacturer to write a series of blog posts on the best tiles to use in different parts of your home. Or, a video series on how to install new tiles in your bathroom or kitchen could work. The benefit here is that both you and the co-marketing partner will be able to promote the content to your respective audiences…and share the leads that you acquire in the process. Show that you’re knowledgeable in your field. Finding and establishing these relationships can be somewhat time consuming, but you have to know where to look. A good place to start is with companies and people who follow you or frequently interact with your content on social media. Opportunities for co-marketing are endless. 13. How frequently should I be emailing my contacts? That all depends on your industry, your audience, and your goals. Email has been around for quite some time and many companies underestimate its potential. They see it as archaic, boring, and spammy – but it doesn’t have to be! Really good and targeted emails have a good chance of being read, regardless of what industry you’re in. One thing that many don’t realize is that not every email needs to go out to your entire email list. Later in this post, we’ll talk about buyer personas. By identifying different personas and segmenting your customers accordingly, you can create and send out email content that people are more likely to care about and read. Of course, avoid sending too many emails with too many calls-to-action or links in them. Many of us are already overwhelmed with the amount of email we’re receiving on a regular basis, so be the email that someone looks forward to reading. Do they have time to act on your CTAs? If a lot of your emails aren’t being opened, clicked on, or are being unsubscribed from, it’s time to make to adjust your strategy. 14. Should I have CTAs on all of my pages and blog posts? Probably not on every page, but be strategic about it. CTAs (calls-to -action) are the butter to the inbound marketing bread. They are one reason that you’ll end up with a growing list of relevant contacts. On a very basic level, you should have a CTA that encourages users to sign up for your email list and to find out more information about your business. These two CTAs should be disbursed throughout your site where it makes sense to do so. Usually, your About Us or Contact Us page is a good place to start. Be careful not to overload your site with CTAs, though. It can create a negative experience for your visitors and result in poor search ranking. Over at Moz, they include CTAs at the end of their blog posts, as well as on their homepage. It's important to test how the location of your CTAs affects your conversion rates. Pam Vaughn of HubSpot ran an interesting experiment using HubSpot’s blog to see what types of CTAs work best where. This post is probably most helpful to somewhat experienced CTA users, but it can be helpful for someone getting started to see how far-reaching this strategy can be. 15. How do I build buyer personas? First of all, buyer personas are key to a successful inbound marketing strategy. Buyer personas are representations of your customers wants, needs, aspirations, motivations, budgetary restraints, company size, industry, etc. Most businesses should have no more than 4 or 5 personas. Building them can be a time-consuming process – but it’s worth spending the time on. Don’t hurry through this when developing your inbound strategy! If you need to, see if an agency will be able to help with this. When building personas, you’ll need to interview your customers and potential customers thoroughly. Surveying is not sufficient. Interviews should be phone calls or face-to-face meetings where you get to know the deeper needs of your potential customers. After learning about your desired target market, you’ll need to put together a profile on each type of persona, with clear and relatively concise points that can be easily mapped to your overall marketing strategy. Using buyer personas, you will better understand what types of content to create, where and when to share it, and how to interact with a contact at any point in your funnel. Buffer created a very detailed and helpful guide on creating buyer personas here. 16. How do I pick which keywords to use? Keywords are highly specific to your industry and even more specific to your business. Keyword research will, hands down, be one of the most important and valuable activities that you and your team participate in. Using them as a guide, you’ll be better equipped to optimize your website pages and blog posts. They should even drive your copywriting and content strategy in other marketing materials. There are countless guides on how to do keyword research, but generally speaking, you’re looking for words and phrases that your target market is typing into search engines when searching for the products and services that you offer. The trick here is to pick keywords and phrases that have relatively high search volume but low competition. Targeting those keywords by including them in your content offers and on your website will likely rank you higher in search results. 17. Which marketing metrics should I be tracking? Depending on which aspect of your inbound marketing you’re tracking, metrics will vary. Many people have different opinions on which metrics to track, so you might very well end up with your own metrics that only make sense for your business. That’s fine – and expected! Qualified Leads, aka the leads that you actually care about or can sell to. Number of Comments on your content, not just on your blog. Amount of Content Shared across all social media platforms, even the ones you don’t currently focus on. Customer Acquisition Cost, which should be low! Focus on bringing this number down. Net Promoter Score, which is a numeric gauge of how delighted your customers are. Time Spent on Site - the brother to bounce rate that will help you in search. Monthly Recurring Revenue for your business needs no explanation. Keep this growing! Conversion Rate, which will vary from email to email and landing page to landing page. Return on Investment is what your boss cares about. Bounce Rate needs to kept low. Search engines care about this…a lot. CLV/CAC Ratio is arguably the most important metric for any business. Understand it inside and out and figure out how your business calculates it. Number of Trial Signups or whatever it is that you’re giving away as “bait." 18. How much time do I need to invest in inbound marketing? Quite a bit (unless you outsource). Inbound marketing is like fitness. You can’t eat a salad for lunch on Monday and expect to look like a pro-athlete by the end of the day. Inbound is a day-in and day-out strategy that your entire marketing department (and sales department) needs to get behind. Researching keywords, creating content, promoting on social, optimizing your website, etc. need to happen on a regular, ongoing basis. There is no magic number of hours that you’ll spend on inbound marketing, but it will become more efficient the more you do it. For example, once you have a few top ranking blog posts on search, you’ll be able to rake in traffic on a regular basis. Also, once you build up your company’s reputation, you won’t have to work as hard for endorsements or partnerships. But all of this will take time. Enlisting the help of an agency to strategize, implement, track, and tweak your marketing plan can be your saving grace. Yes, it’ll cost you upfront, but in the long run, it will most likely save you money by way of efficient processes, highly monitored spending, and not having to hire individual experts for the various inbound tasks. 19. Should I hire an in-house marketing team or an inbound marketing agency? How’s that for a segue? We may be biased, but it’s definitely recommended to hire an agency for help with your inbound marketing, especially if you’ve got a small team. Some businesses simply don’t have the headcount, hours, or bandwidth to do it themselves, or their existing team members lack the expertise to get the job done well. If you or your marketing team are without a paddle when it comes to inbound, an agency can make a huge difference in developing a healthy leads funnel. Generally speaking, if you’re working with an agency then you probably have at least one marketer in-house to make sure things are going as planned and all internal stakeholders are accounted for. Agencies are often brought on because a small team is spread too thin. The agency will often come in and help prioritize, execute, and monitor success. 20. Can I do inbound marketing myself? Sure you can! There are infinite tools, resources, guides, and more to help you through the process of setting up, maintaining, and boosting your inbound marketing strategy…but be prepared to work! Keep in mind that marketing is often someone’s full-time job, and most company’s have multiple people working on it. Imagine taking that on, in addition to running the other aspects of your business. Inbound takes time, effort, and skill. Aside from the time commitment, level of experience and skill are important. Just as in any other realm of marketing, it helps to have past experience. If you’re a team of one, you will likely struggle carrying out a full-fledged inbound marketing campaign, which includes strategizing, implementing, sustaining, and consistently monitoring the various aspects of a campaign. Although inbound is easy to wrap your head around, it’s not as easy to put into practice. This is only a snippet of the wealth of knowledge that exists on the topic of inbound marketing. Rest assured that inbound is a great solution for your marketing qualms and there’s no shortage of assistance if you need it to get started. Although inbound is often time consuming, it is truly worth the investment, whether you decide to stay in-house or work with an agency. Although we believe strongly in the methodology behind inbound, we don’t want to completely discount outbound. Everything in moderation is the key to success and we recommend taking a hard look at your current ROI before deciding that inbound isn’t worth your time.